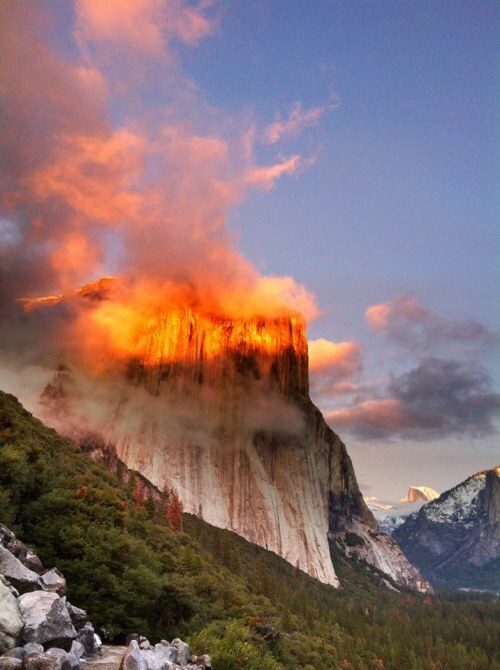 El Capitan in Yosemite National Park (California) glows at sunset. 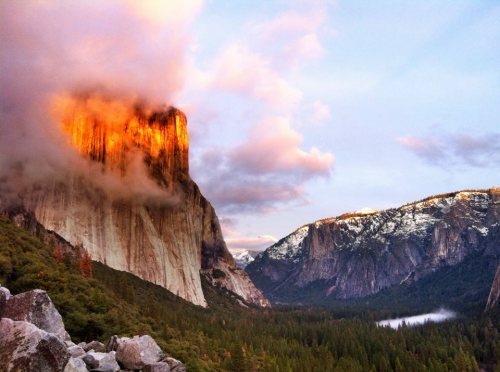 This effect is known as alpenglow, and it commonly occurs Yosemite during the winter months. iPhone photos by Kari Cobb.